Posted June 25, 2015 & filed under Events in Dewey Beach DE, Things to do in Dewey Beach DE. The 5th annual Dewey Beach Scavenger Hunt takes place on August 1 this summer! Presented by Lindy Promotions and Miller Lite, this adult-only event is the perfect adventure to kick off your summer vacation. This pub tour involves challenges, trivia, a scavenger hunt and more. Teams are made up of four to eight members, and everyone is encouraged to come dressed in team attire. 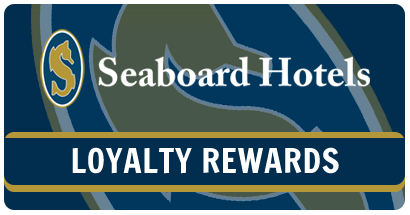 The pre-party and check-in begin at The Starboard at 12 p.m. and the hunt will go from 2 p.m. to 6 p.m.
Twelve Dewey Beach bars are included in the event and each bar will have a $3 Miller Lite special throughout the festivities. See all that the Dewey Beach bar life has to offer on this whirlwind tour, then stick around to celebrate with your team and the friend you have made throughout the day! The post-race party starts at 6 p.m. with awards. Prizes include $500 cash, concert tickets and free bar tabs. Interested in seeing what this awesome day will be like? Click here to view pictures from the 2014 hunt! Registration costs $50 per team until July 31 and is $60 per team on the day of the event. Click here to register online and then book your stay at the nearby Atlantic View Hotel. We look forward to your visit; good luck in the hunt!